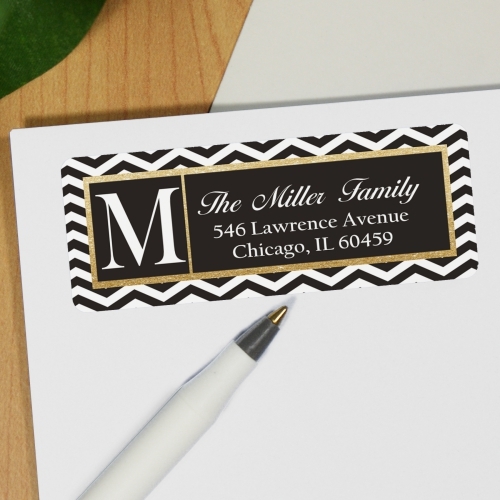 Save valuable time addressing each envelope by simply using these sharp looking Monogram Chevron Address Labels. You choose any single initial monogram and enter any three line address for labels you may use for business or holiday cards. Label Size: 1" x2 5/8"